The long-awaited Virgin America IPO (initial public offering) announcement was made by the airline that is partly owned by British billionaire Sir Richard Branson through the Virgin Group. Shares of its common stock will be offered by Cyrus Capital Partners LP as well as by employee and holding firms, the company informed today in a document filed at the Securities and Exchange Commission. Virgin America has not yet determined how many shares will be on offer, and at what price. No stock ticker has been proposed yet, and the company does not reveal whether the flotation will come on the New York Stock Exchange or Nasdaq. The airline, which started flying on August 8th, 2007, has been considering holding an IPO for the last two years. CEO David Crush said in 2013 that a flotation would be possible after several successive quarters of earnings growth. In November, 2013, Mr. Crush said the airline is concentrating on showing sustained profit, and a transaction is unlikely before the end of this year. Virgin America is not part of the Virgin Group (although it owns a minority stake). The company posted a net loss in Q1 of $22.4 million, compared to a net loss of $46.4 million in Q1 2013 (Q1 is always the weakest quarter). Its revenue per available seat mile in Q1 2014 rose by 0.9% year-on-year, but its cost per available seat mile was up by only 0.2% over the same period. Deutsche Bank Securities and Barclays will act as joint book-running managers and as representatives of the underwriters for the proposed IPO. Sir Richard Branson, who has dyslexia, was told by his headmaster on one of his last days at school that he would either end up in prison or become a millionaire. 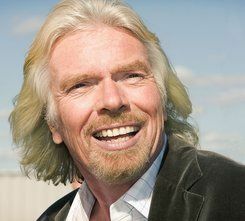 Although the brainchild of Sir Richard, Virgin America is a US airline. According to American law, a maximum of 25% of a US airline may be owned by foreigners and needs to be under the ‘actual control’ of American citizens. VAI Partners own 75% of the capital stock, while the remaining 25% belongs to the Virgin Group, which also licenses the brand to Virgin America. Headquartered in Burlingame, California, Virgin America is a completely separate entity and is under no obligation legally to work with other firms that share the Virgin brand name. It does however, partner with other Virgin-branded carriers. It also flies to vacations destinations, such as Cancun and Los Cabos in Mexico, as well as Fort Lauderdale (Florida) and Palm Springs (California). The company said some of the proceeds from the IPO will go towards expanding its fleet. Virgin America has built up a good reputation in the US for its amenities and passenger experience. This year it came first in the “World’s Best Awards” by Travel + Leisure magazine.